In a world where many people equate self-worth with net worth, most of us are at a loss for an internal compass to guide us to the land of true riches. Many people desire a certain salary, but have hang-ups around asking for what they believe they are worth due to fear of being told ‘no’. Other people make a great deal of money, but have a hard time spending it, so they never enjoy the fruits of the wealth they have acquired. Some of us make money, but spend all we have, going further into debt in order to prove to ourselves and others our worthiness of the good life. None of these patterns of behavior are better than the next. They all come with a serious consequence and that is the belief that external value determines ultimate value. The truth is that our understanding of our true value is murky at best. Most of us have never fully explored the meanings and relationships between our self-worth and our net worth. Yes…I know… it’s complicated! However, I can’t even begin to express how important it is to know that the complications that arise in our relationship to our overall financial health usually stem from what I call your “Worth Story.” Let’s face it – your Worth Story is either empowering you to do whatever it takes to access a flow of increased abundance of life experiences, which may or may not include material possessions, or it is holding you back and creating roadblocks along the way. Whenever we see someone really going for what they want in life unabashedly, it is usually because he or she does not have as many stories and limiting beliefs about what it means to have the mindset to acquire what they desire in that area of choice. In the case of wealth, a Worth Story gets created usually when an experience takes place and we develop a set of beliefs about our sense of value- usually in comparison to others. No matter what age we are when the events of the experience that formed the Story occurs, the meaning the Story creates is one that usually leaves us feeling diminished in comparison to others, or far superior. The result is we develop unhealthy notions of our own inherent value and also our being Value-Able: able to create value that is self-generated from who we are, and the actions we are willing to take on in the world. Once the story of our worth is formed, it colors not only the way we see ourselves, but also what is possible for us to acquire during our life time. Think about what you desire. If that desire isn’t in your life at the moment, there is a high likelihood that it isn’t there because of an internal belief about you obtaining that desire. Some people may not see the story of their worth as a problem until it begins to create problems in their personal or professional lives. Perhaps it’s not being able to ask for the raise well deserved or that negative feeling when a friend just had another sold out week, which translates into “money I will never have.” Whatever the signal is, we get it loud and clear: my worth and value is tied to others. Until we begin to see our value as independent of others and anything we could ever do, have or be, we cannot begin the process of building the sort of sustainable wealth that transcends finances and floods into every area of our lives. I think it’s pretty accurate to say that if you’re like most humans alive today, you are faintly to obsessively concerned about creating, retaining and building wealth, either for yourself or others. Think of your Worth Story as a piece of coal, the past clouding the light that lies within. As you begin to use the blast of your awareness to refine that piece of coal, you can see every word someone said to you, about you or that you said about yourself. These thought-forms cloud your ability to make brilliant choices when it comes to how you relate to your personal finances, or to your business. It’s important that you get to the root of your Worth Story so that you can begin to develop a strategy and new story of abundance based on the light you just uncovered within yourself. Which facet of yourself would you like to harness to build a foundation for your wealth? What new actions are you willing to take to make that happen? What sacrifices will you have to make that won’t be easy? What has been the impact of you trying to build wealth from the outside in, as opposed to from the inside out? What new commitment are you willing to make to ensure that this no longer happens? What theme or title would you give to the success story you in the process of unfolding with this new light that shines from within you? Isn’t it fascinating what starts to emerge when we go deeper? 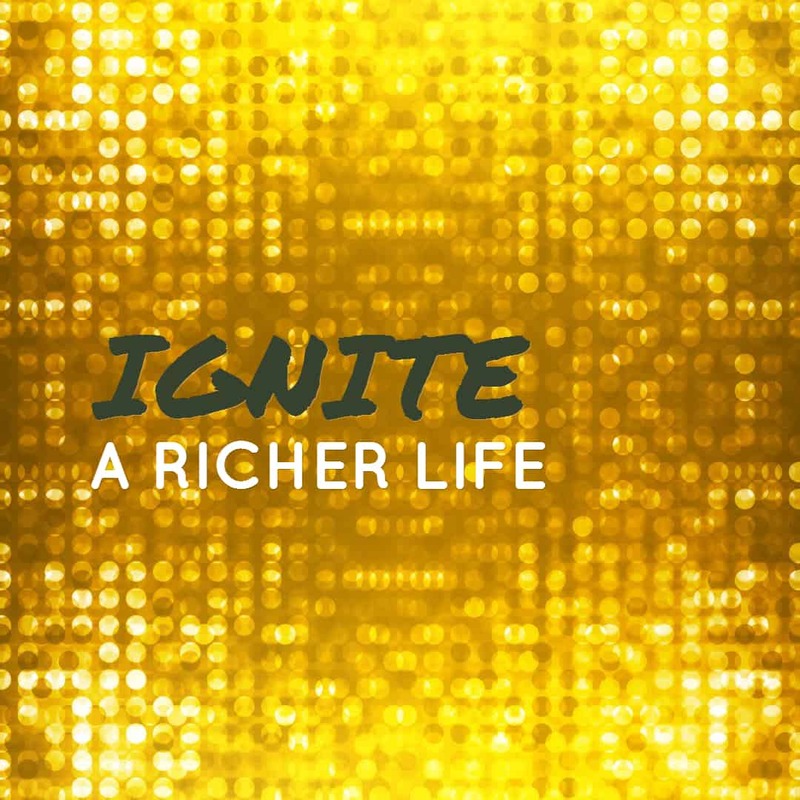 To go even deeper with some of these questions, and gain super strategies for building wealth from the inside out, Join Tiffany “The Budgetnista” and I for an informative PowerHouse Webinar on Igniting a Richer Life. April 30th 8 pm Eastern. Click HERE to REGISTER TODAY! Do you know what your worth story is? Share your thoughts on our latest blog post.